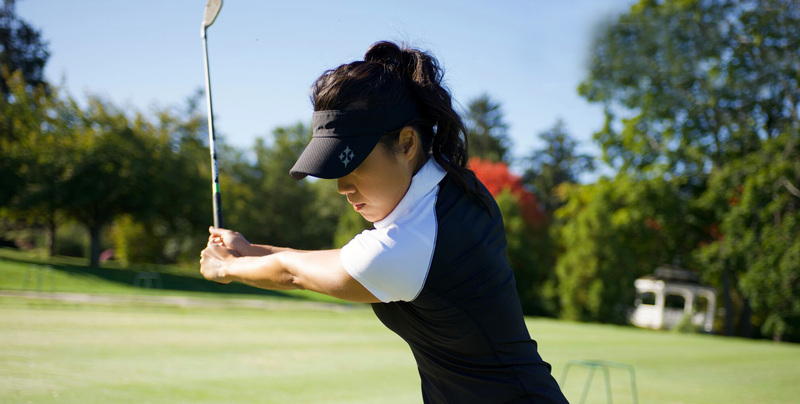 Kim Kouwabunpat is a former professional golfer, born and raised in Southern California, most notably recognized from being on Golf Channel’s hit reality series Big Break XI: Prince Edward Island. She grew up as a well-rounded athlete, while also playing soccer, softball, and tennis in addition to golf but dedicated her focus to golf at the age of 9. She started competing at a national level at age 10 and found success as a 5-time Junior All-American, 2-time Canon Cup Team member, winner of 5 individual national titles, and was ranked as high as 13th in the junior national rankings. Kim continued on with an illustrious collegiate career at Stanford University where she competed on the women’s golf team on a full scholarship all 4 years. She earned 7 top-10’s, 4 top-5’s, was a 2-time All-PAC10 Conference Team member, and earned Most Valuable Player honors on the ’03-’04 season Stanford squad. Kim graduated in 2004 with a bachelor’s degree in Psychology. Upon gradation, Kim turned professional and competed on the LPGA Futures Tour, CN Canadian Women’s Tour, Ladies Asian Golf Tour, Cactus Tour, and California Players Tour. She’s earned 12 top-5’s, including 2 professional wins. Her lowest round is (-7) 65 and (-5) 67 in competition. She states having a great respect for the game of golf due to its demand for core strength, stability, flexibility, endurance, and mental focus out on the course in order to compete at the top level. Physical fitness in the gym is just as crucial in her training regimen in order to achieve consistency in her shots, distance off the tee, and finesse around the greens. Since retiring from competitive golf in 2010, she has found a new passion in endurance sports as she is an avid runner and triathlete. She’s completed 2 full marathons, 1 Ironman 70.3 in St. George, UT, and over a dozen half marathons. She is also embedded in her local running community through founding 3 FFP Running Clubs in Southern California, a grass roots based non-profit organization dedicated to promoting fitness, fun, and philanthropy. Their mission is to build local communities by making fitness a fun part of your routine and to make the world a better place, one running community at a time. "With a full-time work schedule and an active workout and training regimen, NeoLife products have helped me maintain the energy I need to get through the day then hit the gym for a workout or the trails for a run. Taking these products has also added a nice structure to my daily intake with a healthy routine. Pro-Vitality is an easy way of making sure I'm getting my essentials, nutrients, and minerals. The NeoLifeShake are also great to take on the go during my busy weeks!"